Considering the difference between the audiences of the GMAT and the SAT, you might be a bit surprised to hear that the two tests have a lot in common. It’s not as though a high-schooler could walk into a GMAT and come away with a score in a percentile similar to what they would get on the SAT, of course—the GMAT is inarguably harder than its little brother, and the cohort of test takers whose scores go into creating those percentiles has only so much in common with the average high-school student. But the skills that needed for the two tests overlap considerably, as do the types of questions you might see. 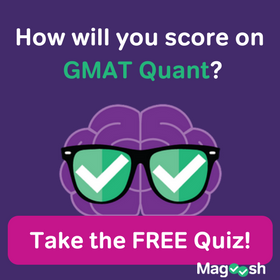 If you’re reading this, you’re most likely thinking about taking the GMAT soon, and you remember your SAT well enough that you’d like to compare the two. To that end, let’s break down what the two have in common. (Note that the SAT changed in 2005, adding sentence completion questions and a writing section, so if you took the test before 2005, some of the below might not mean as much to you). The math on the GMAT can be extremely tough, but the basic concepts underlying the questions are the same as those used to write SAT questions. Both tests have an affinity for word problems, number properties, geometry, and algebra, and the format is pretty much the same, too. While GMAT math concepts are almost identical to those that you’d see on the SAT, the difficulty level of individual questions is a good deal higher, especially if you’re answering many questions correctly (since the GMAT is computer adaptive). It’s not that you need to know more formulas or rules for the GMAT—it’s that you need better number sense and more creative problem solving. The relationship between GMAT reading comp and SAT reading comp is much the same as that of their math counterparts. The core skills are in common, but the GMAT has a higher ceiling; the hardest questions are well beyond the scope of SAT questions. The most notable difference is in the content of the passages. SAT passages are fairly digestible, general-interest affairs. They favor fiction, memoir, and opinion pieces. The GMAT contains far more science- or history-based texts with a less obvious authorial voice—and hard questions often hinge on that ever-so-subtle tone the writer injects into his prose. And the trend continues: sentence corrections on the GMAT will look strikingly like SAT “improving sentences” questions, but they’ll be quite a bit more difficult. SAT grammar is relatively basic. Students don’t usually go into into topics like absolute phrases in order to prepare. Meanwhile, the distinctions between right and wrong answers on the GMAT can be frustratingly subtle, and the test-makers are sticklers at best, pedants at worst. 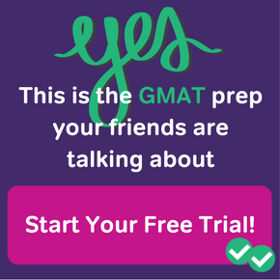 There are a handful of GMAT questions that are unlike anything you saw on the SAT, included in each section of the test. Data Sufficiency (math): These questions are unique to the GMAT, and they take a while to get used to. They have their own inherent logic, rules, and strategies. Critical Reasoning (verbal): Unlike normal reading comp questions, critical reasoning questions follow a pretty strict format. You read a short paragraph about a certain line of reasoning, and then you answer a single question about the logic of that paragraph: how it could be improved, what it’s based on, etc. Integrated Reasoning: In 2012, GMAC scrapped one of the two essays on the GMAT and brought in a new section that’s basically souped-up data interpretation. You’ll be given tables, charts, and graphs galore and asked to come to conclusions based on the information presented. There’s nothing like it on the current SAT. Essay (on a source text): The SAT essay asks for your opinion; the GMAT essay clearly does not. Instead, you will have to analyze an argument, pointing out its flaws, much like you do in critical reasoning questions, but in open-answer format. The moral of the story? Even if you aced the SAT, if you’re going to take the GMAT any time soon, you’ll want to study for it. It’s an extremely challenging test, and there are quite a significant chunk of it has no parallel to the SAT. 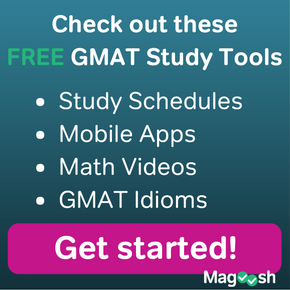 5 Responses to Is the GMAT Like the SAT? to get admission in good universities like MIT, Stanford,Cornell,etc is it required to score high marks in sat or GMAT or both or any other exam?? If you’re applying for admission to undergraduate programs at these universities, you’ll need to take either the SAT or ACT. On the other hand, the GMAT is the required exam when applying to MBA (Master in Business Administration) programs. In either case, while test scores are only one factor on your application, high test scores are usually needed to get into very competitive programs. Thank you very much for the article. It is very informative. So can I study for the sat with gmat books (manhattan prep)? Will this work? It can help! Especially if you’re aiming for a very high score on the SAT, that extra challenging material for the GMAT be good practice. But you don’t want to use GMAT material exclusively. It’s extremely important that you learn the format and timing of the SAT, as well as the types of questions that are on the SAT but not the GMAT, such as sentence completions (on the current, 2015 SAT, that is. It will change again in 2016).